Violet’s parents, and other members of the family, were evacuated to Tilty Vicarage in the early 1940s (see also Barbara De ‘Ath’s story). 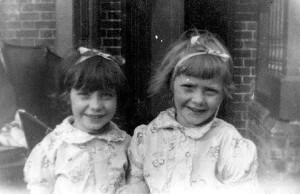 We [the twins] were five or six [when we were evacuated], and I can’t remember if it was 1940 or 1941 – and can only remember a few things. I remember we went to Dunmow one afternoon, and I was frightened and lost after Mum and the others had gone into shop we had all been looking into the window of. One day Edie took us over to a cottage that we went through the churchyard to, and the lady had a tin of cakes or biscuits. At John and Edie’s wedding, some American soldiers came in the evening. The radiogramme was playing music when we were in [Tilty] Church Hall. An elderly man was at the Vicarage; he was called “Granddad”, and was dressed very smartly. I think – if I remember right – that my mum told me (when I asked in later years who he was) that he was Mrs. Cuthbertson’s father. One day Rose (my twin sister) slid down the banister in the Vicarage, and landed on a pram that was in the hall. The pram belonged to a lady named Kay who was a friend of Mrs. Cuthbertson. She buckled the shade of the pram, and was terrified as she knew she was in trouble. Aunt Flo and her son Billy were there, also Nana who died while we were there. 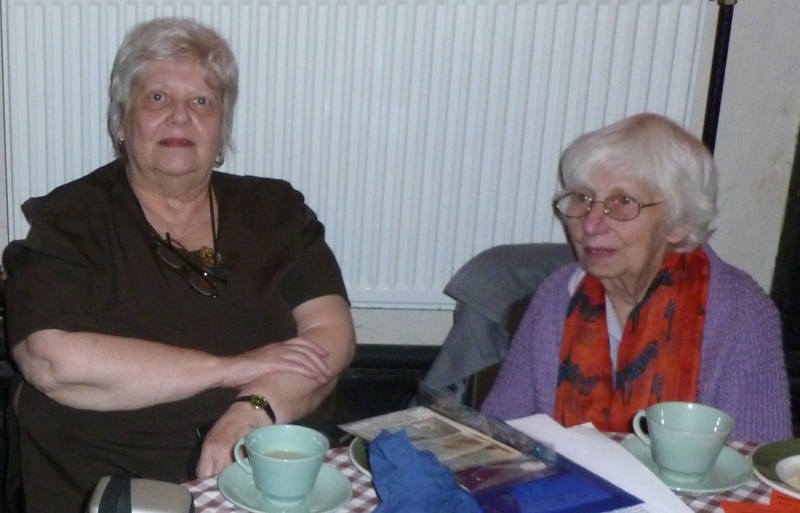 Edie’s mum and dad (Mr. and Mrs. Harding) were also there, and a family of the name of Lawrence – whose mum was called Elsie – and a Joysta family. Our sister Betsy worked on the land. We used to walk to Duton Hill often, and one day we walked “half way to Thaxted”. When we walked to Duton Hill, we went with our “big brother” John, or big sister Betsy; John worked in London. Our Dad and John used to come down some weekends. I remember Cecile [the Rev. Cuthbertson’s daughter]; she was younger than us – about 4 or 5. “Granddad” gave Betsy a cigarette case that she kept all her life. John and Edie were married in Tilty Church, and Nana is buried in the churchyard. We had two more big brothers: Albert, who was in the army, and Stanley who was called up at that time. The Mitchell family always had fond memories of the Rev. Hugh Cuthbertson and his family.